Ahhhh! I love winter fashion!....there's just something about cosy winter knits that I adore - the textured wools, soft cashmere's and fluffy mohair. I love the bold, dark winter colours of burgundy and bottle green, the leather accessories (bags, boots, shoes etc). - Autumn/Winter is my playing field and I can't get enough of it!...I think it is because I am a winter baby! I love big, oversized chunky cardigans and I always prefer to wear this style instead of an actual coat. 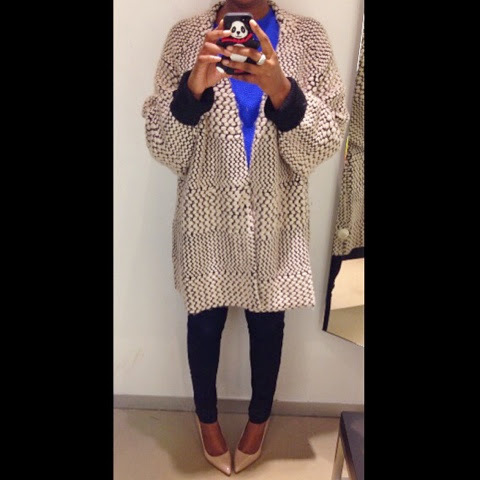 I saw this gorgeous one (above) from H&M the other day which is so warm and cosy and perfect for this season. 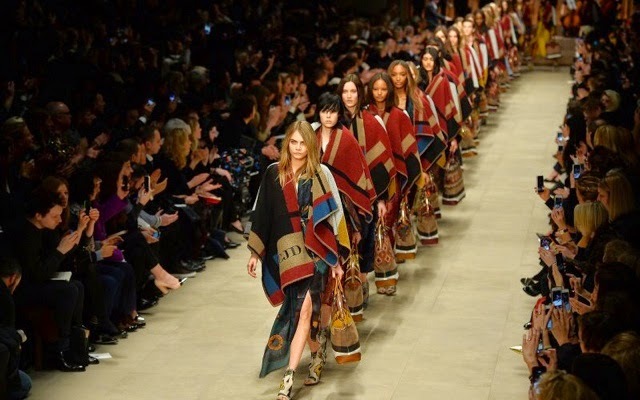 This style is everywhere at the moment and we probably have to thank the lovely people over at Burberry for that - their monogrammed poncho/blanket coat (below), was for me LOVE at first sight! OK, blanket coats or poncho's are not going to be to everyone's taste! But I have always liked an oversized wrap coat - it is just so effortlessly cool but still looks very chic at the same time. Perfect for in-between weather when you don't need to wear a full coat but still need some sort of a cover up. 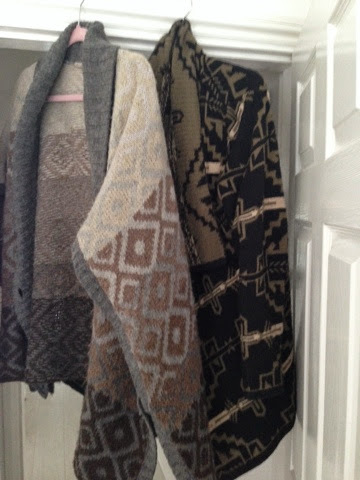 I have had these two below for a few years now....the grey one is from Kookai (remember them!) and the darker one from ASOS. Without fail, I always get compliments when I wear them. So if you are looking for something different to wear this autumn/winter, bag yourself one of these. There are plenty of versions on the high street aswell as some fabulous designer ones. I'm going to see Lauryn Hill tonight in concert, so I'll be back with my review tomorrow.